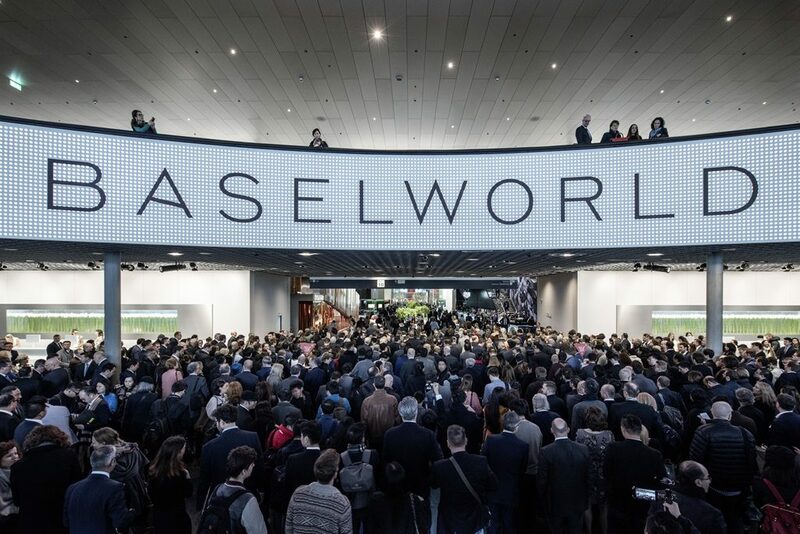 Baselworld is the world’s largest trade show for the watch and jewellery industry, organized every spring in the city of Basel, Switzerland. This year, the week-long event commenced on 23rd of March, offering a line-up of the latest watches from hundreds of the world’s best known and not so well-known brands. The highlight of the event were the variety of smartwatches and hybrid smartwatch offerings. Many traditional watch makers, whether they be Swiss, American or Japanese, had a lot to offer in the wearable segment. 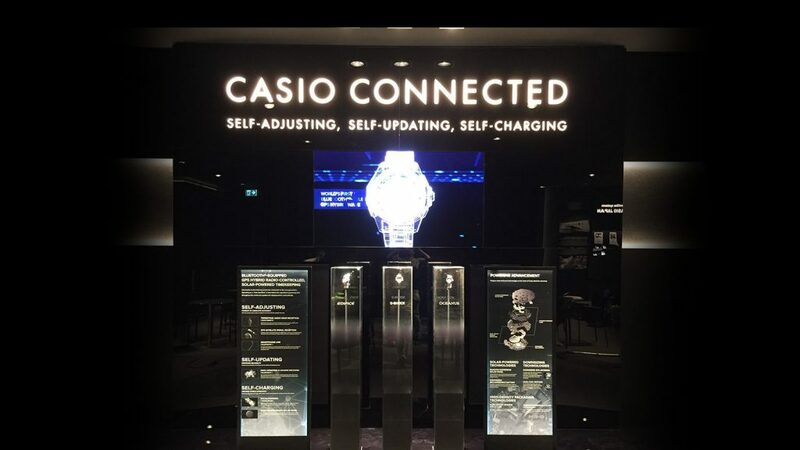 Even technology giant Samsung ramped up its comeback to the event, after last year’s collaborated debut with ‘de Grisogono’. 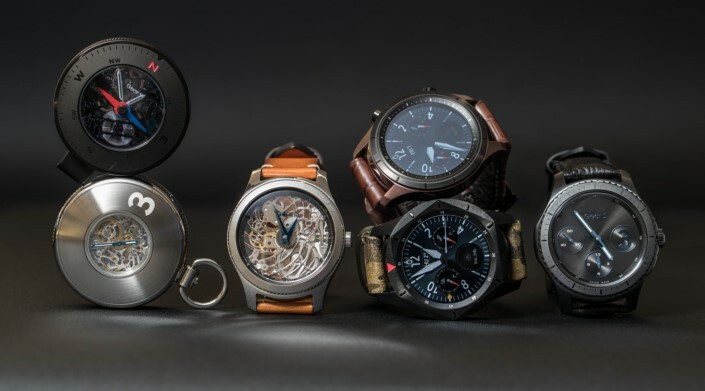 While luxury watch makers are running to Google, adopting its Anroidwear 2.0 technology to keep up with the everchanging trend, Samsung has decided to interfere with whatever market share these brands have left. Samsung, in collaboration with renowned luxury watch designer Yvan Arpa and industrial designer Arik Levy, came up with three concept watches based on the Gear S3 smartwatch. Two of which had mechanical movements. This step, which threatens the Swiss watch makers’ existence in their own home-turf, caused a huge hullabaloo among them. 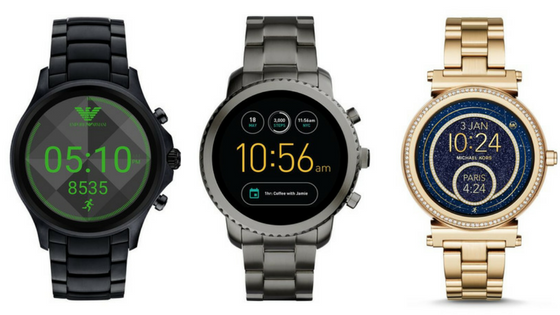 Keeping its promise of launching 300 connected watch SKUs in 2017, the Fossil group unveiled a large number of products across its 14 brands at the yearly mecca. The band of brands added 11 new models of touchscreen smartwatches to its portfolio; the new entrants being Diesel and Emporio Armani. The surprising reveal came from Misfit, when the brand decided to go with Google’s Android Wear 2.0 and drop its own OS from its first proper smartwatch ‘Vapor’. 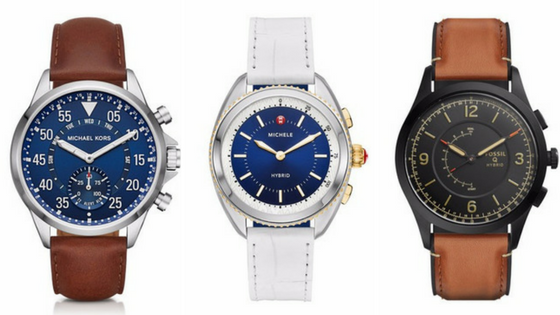 The group also unveiled a slew of hybrid smartwatches, across all its brands. While most of the its lineup received updates through new colors and styles, some of the brands like DKNY, Marc Jacobs, MICHELE, Relic and Tory Burch, were introduced to the wearable space for the first time. This move not only expanded Fossil’s range in smartwatches, but also addressed a major issue – restricted feminine entries in the segment. 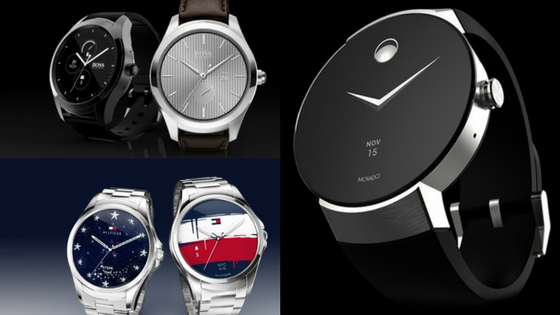 Following into the steps of Fossil, another American watchmaker Movado Group unveiled three new smartwatches. 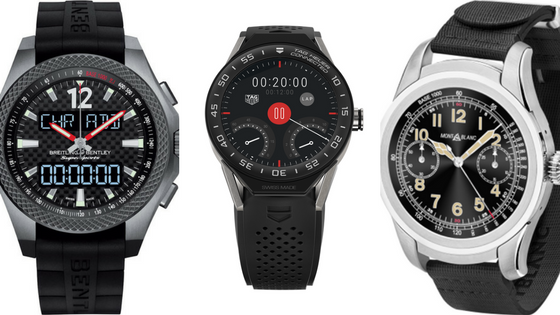 Powered by Google’s Android Wear 2.0, the Movado Connect, Tommy Hilfiger TH24/7 and Hugo Boss Touch, aim to merge fashion and technology. Casio adds luxury to Pro Trek Smart WSD-F20, which was announced at CES earlier this year with scratch-resistant sapphire crystal, ion plating and a new color scheme. Apart from this, it also unveiled a hybrid smartwatch, the Edifice EQB501. Ahead of Baselworld, Tag Heuer, which is already pretty active in the wearable segment, revealed its completely customizable smartwatch, the Connected Modular 45. The watch has been designed in collaboration with Intel, giving a premium blend of tech with Swiss design. We expect to see Intel pairing with more brands in near future, bringing more smart features and potentially also AI into the wearable segment. The other noticeable mentions came from luxury brands, Mont Blanc and Breitling. The German luxury brand Mont Blanc came forward with its Android Wear 2.0 powered smartwatch- Summit, whereas the Swiss Breitling decided to keep it more traditional, and displayed its limited-edition hybrid smartwatch Supersports B55, cobranded with car maker Bentley. While there were multiple launches from the world’s most renowned brands, some not so well-known bands also debuted at Baselworld in an attempt to pave their way into the big leagues. Mykronoz, a Swiss startup, with its hybrid smartwatch Ze Time, which incorporates mechanical watch hands with a fully functional touchscreen, and Nowa, a French startup, with its minimalistic hybrid smartwatch Shaper, gained instant popularity among enthusiasts. Both these products are already live on the crowdfunding portal Kickstarter. Recently, the Swiss watch industry has been under a lot of pressure from the likes of Samsung and Apple. Struggling with declining sales, the traditional watch industry has opted to go the ‘smart’ way. The rising number of smartwatches and hybrid watches are proof of this. The launch of Android Wear 2.0 has given a boost to the otherwise stagnant smartwatch industry. 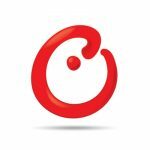 Multiple brands have upgraded their product lines and a lot of newer and smaller brands have also entered the segment as a result. We are now seeing a strong shift toward a much stronger mix of hybrid watches alongside full touch smartwatches. There were numerous launches in the hybrid smartwatch segment, and now it’s not just limited to traditional watchmakers which want to enter the wearable segment, but technology brands such as Samsung and Meizu are also tapping into this potentially lucrative market. 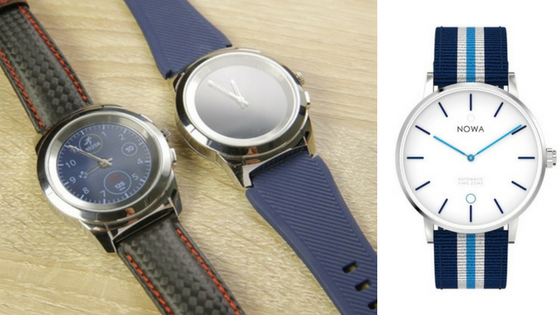 The demand for designer smartwatches has led to rise in collaborations between tech brands and luxury/designer brands. And with Intel expanding its expertise into the wearable segment, the adoption of more advanced features (such as Artificial Intelligence) could be easier in near future.